Read what the press is saying about our project. EAGLE FILE. Developers of the former Eagle Mill in Lee are working to land tax credits and other funding for the $60 million revitalization of the historic buildings, and new construction, on the 6.4-acre site. LEE — With local approvals in hand, developers of the former Eagle Mill have moved into the critical state-funding phase of their $60 million project. 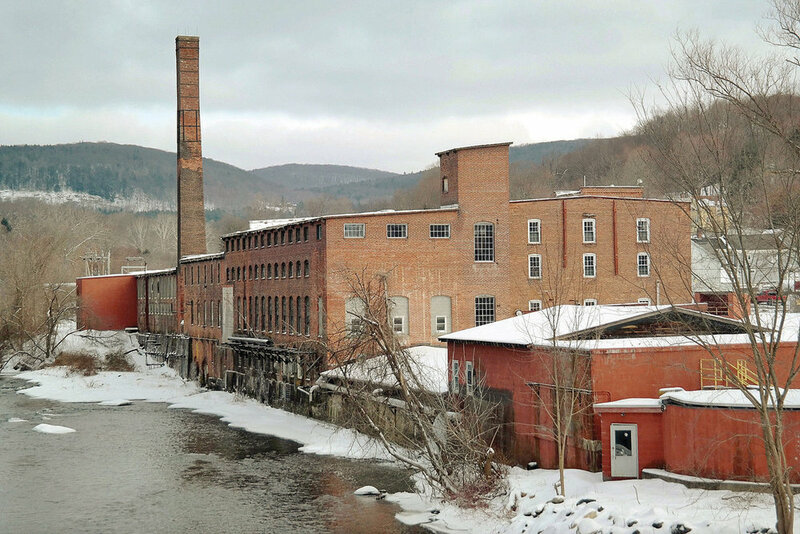 In the coming weeks, Mill Renaissance LLC and its partners look to convince the Massachusetts Historic Commission that revitalizing the former paper mill deserves historic tax credits. A rendering of the hotel complex that is envisioned as part of the redevelopment of the abandoned Eagle Mill property in downtown Lee, Massachusetts. Lee —The redevelopment of what has been called a “transformative” project for downtown Lee has taken yet another step forward with the approval on Wednesday of a special permit to work in a flood plain. At its Nov. 14 meeting, the Lee Zoning Board of Appeals unanimously approved the special permit for Mill Renaissance LLC. Plans to redevelop the former Eagle Mill have received the OK from the the Lee Zoning Board of Appeals to build in the floodplain. Next up, the project hopes to receive the blessing of the town's Planning Board and Conservation Commission, in that order. LEE — Eagle Mill developers are moving closer to breaking ground this time next year on their estimated $60 million project. By a 5-0 vote, the Lee Zoning Board of Appeals has unanimously granted a special permit to Mill Renaissance to work in the flood plain. 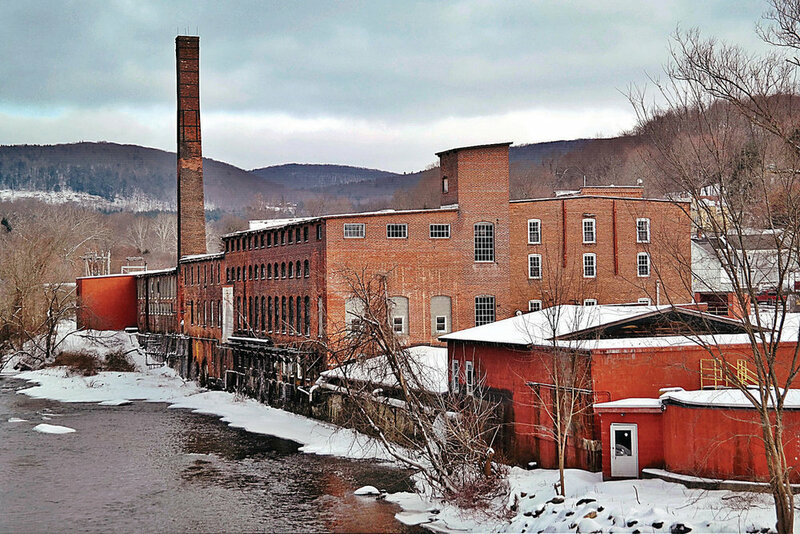 The historic factory site dates back 200 years and runs along the Housatonic River on the north end of Main Street. The Union Mill, center, and Eagle Mill buildings will be renovated as part of the Mill Renaissance plan to redevelop the former Eagle Mill in Lee. The smokestack, seen as a symbol of the town's once dominant paper industry, will be preserved. LEE — After almost six years of multiple revisions, the principal developer of the former Eagle Mill has unveiled his refined plan for revitalizing a factory with a 200-year history. Jeffrey Cohen of Mill Renaissance still envisions converting the majority of the site into affordable and market-rate housing and commercial/retail space, all fronted by a hotel along West Center Street. Changes from the plan Cohen discussed with town officials in September include the number and percentage of affordable units, the size of the hotel and the layout of parking. For at least a decade, the town of Lee has dreamed of redeveloping its Eagle Mill site. As is the case with so many historic towns with obsolescent infrastructures, the ambitious project that sought to convert a disused building into mixed-income housing ran aground on a relatively mundane but expensive-to-fix detail: adequate water supply. Eagle Mill Redevelopment, a private developer, has proposed an estimated $60 million to $70 million mixed-use development that would produce about 80 mixed-income units of rental housing, 40 percent of which would be market rate and 60 percent affordable units, and create over 200 full-time jobs. It would also include retail and office space. "This kind of seals the deal on that development," said Lee Select Board Chairwoman Patricia Carlino. "This will change Lee for the better." Developer Jeffrey N. Cohen acknowledges receipt of a $4.9 million state grant to the town of Lee, clearing the way for his $60 million redevelopment of the Eagle Mill. Behind him are Housing and Economic Development Secretary Jay Ash; Rep. William 'Smitty' Pignatelli, D-Lenox; Lee chief administrative officer Chris Ketchen; Sen Adam Hinds, D-Pittsfield; and Lt. Gov. Karyn Polito. Mill Renaissance LLC must still obtain site plan approval, conservation commission approval, the allocation of historic tax credits and additional commercial. Developer Jeffrey Cohen hopes to start construction on the $60 million project in the fourth quarter of 2019. State Rep. William "Smitty" Pignatelli and state Sen. Adam Hinds were joined by Lt. Gov. Karyn Polito, Secretary of Housing and Economic Development Jay Ash and municipal leaders to announce the award early Thursday morning at the project site. "MassWorks grants act as a lifeline for our small communities, and I believe this grant money will serve as a transformative development for the Fourth Berkshire District," said Pignatelli, a former Lenox selectman. Executive Office of Housing and Economic Development. Office of Governor Charlie Baker and Lt. Governor Karyn Polito, 10/18/2018. 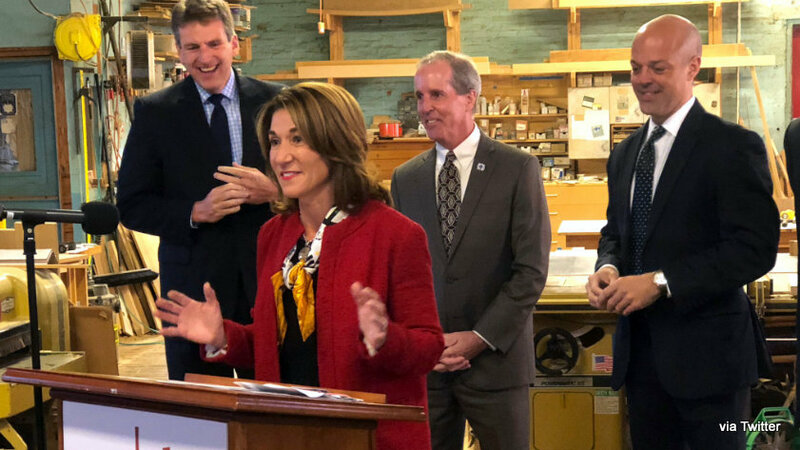 LEE — Today, Lieutenant Governor Karyn Polito joined Chief Administrative Assistant Chris Ketchen and other local and state officials to announce a $4.9 million MassWorks Infrastructure Program grant to Lee to upgrade water lines and support residential and commercial development. LEE — After almost six years of multiple revisions, the principal developer of the former Eagle Mill has unveiled his refined plan for revitalizing a factory with a 200-year history. Jeffrey Cohen of Mill Renaissance still envisions converting the majority of the site into affordable and market-rate housing and commercial/retail space, all fronted by a hotel along West Center Street. The front of Sullivan Station restaurant facing Railroad Street in Lee, Massachusetts. The former New York New Haven and Hartford rail station and subsequently a restaurant has been acquired by Eagle Mill developer Jeffrey Cohen. Eagle Mill developer buys historic Lee station, as mill proposal inches closer to reality. Lee —Developer Jeffrey N. Cohen is at it again. The man at the center of the revival of the Eagle Mill complex has, with a group of other investors, acquired the former Lee train station at 109 Railroad Street. The historic train station at the intersection of Elm and Railroad streets sold last week for $250,000. The seller was Marilyn A. Kelly and the buyer was Lee Choo Choo, a limited liability company Cohen set up with several investors, all but one of whom has strong ties to Lee. LEE — The path towards redeveloping the Eagle MIll site and thus renewing the downtown area is a little clearer following the results of last week’s special town meeting. By a vote of 27-4, district representatives voted in favor of passing the 40R Smart Growth Overlay bylaw amendment proposed by the planning board. The bylaw will allow for the expansion of zoning permissions at the Eagle Mill site which currently only permits industrial development. LEE — Redevelopment of the vacant Eagle Mill has moved a step closer to reality. Special town meeting representatives Thursday were near unanimous in approving a Smart Growth Overlay District for the 6.2-acre industrial site and the nine properties fronting the shuttered paper-making factory. A Lee, Massachusetts mill complex is one step closer to being redeveloped into affordable housing and retail space. Developer Jeffery Cohen has purchased Eagle Mill for $700,000 after five years negotiating with an Albany-based developer and property owner, Eagle Mill Enterprises. LEE — The principal developer of the former Eagle Mill has secured the property and partnered with an established New England contractor — two significant steps toward fostering the $60 million to $70 million project. The entrance to the Eagle Mill complex, showing the Eagle Marketplace, as envisioned by Jeffrey Cohen's Eagle Mill Redevelopment LLC. Lee — With the formal acquisition of the abandoned Eagle Mill, developer Jeffrey N. Cohen’s plan to revive and reuse the decaying property in downtown Lee has entered a new phase. The dormant Eagle Mill on West Center Street in Lee is envisioned to become a commercial and residential complex if a $60 million adaptive reuse plan devised by Mill Renaissance LLC comes to fruition. Photo, Heather Bellow. Lee — An old mill redevelopment plan that could have huge implications for downtown Lee has been changed to include a larger hotel in a different spot and a food marketplace, but there are still numerous hurdles that must be overcome to make it a reality. Jeffrey Cohen of Mill Renaissance LLC is well into the second year of a due diligence process for his proposed purchase and redevelopment of the former Eagle Mill. 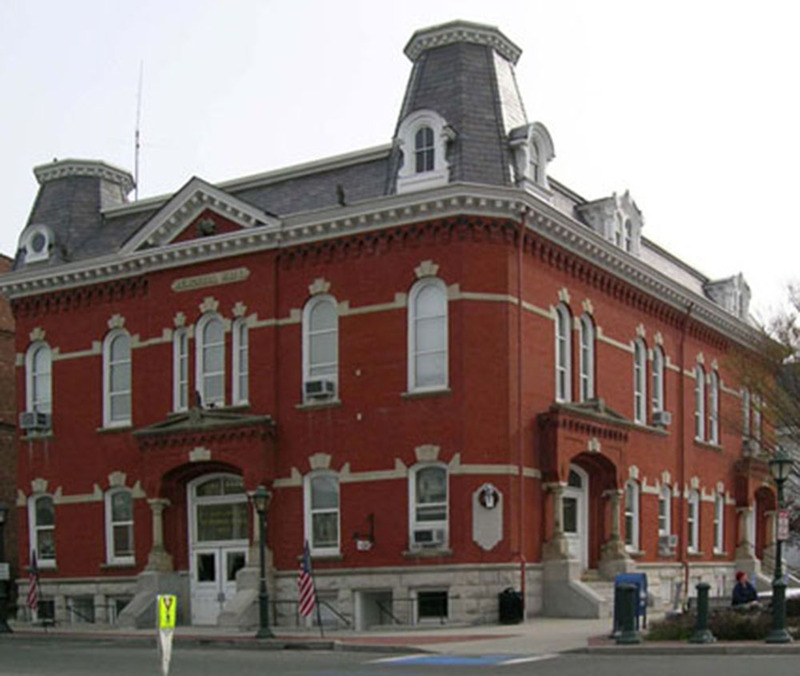 His plans for conversion of the property into a mixed-use commercial and residential complex will be presented at public meeting in Lee on April 24. The new plan taking shape for redevelopment of the Eagle Millcomplex in Lee can be characterized by its ABC’s – ambitious, bold and costly. “We’re spending a lot of money looking at what to do with this,” said Jeffrey Cohen. The Great Barrington resident and recent arrival to the Berkshiresis the driving force behind efforts to bring new life to the formermill complex situated at the northern edge of downtown Lee along the Housatonic River.